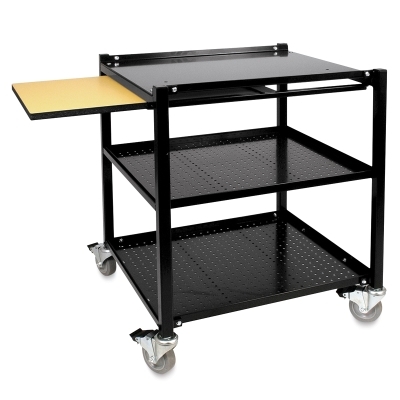 Brent's SmartCart is an "art cart" on wheels for classroom or studio. A solid top and sturdy pull-out shelf provide lots of working area, and two heavy-duty steel mesh shelves offer storage for clay, tools, molds, and glazes. Four locking swivel casters make this studio essential easy to maneuver and store.